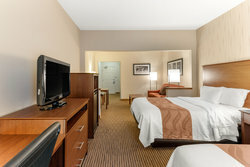 Opt to spend your nights in Fort Collins in our Two Queen Beds Suite. 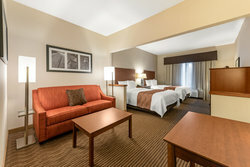 Capable of accommodating up to 6 guests, this room offers two queen beds and a sleeper sofa, which can be pulled out into a full-sized sofa bed. 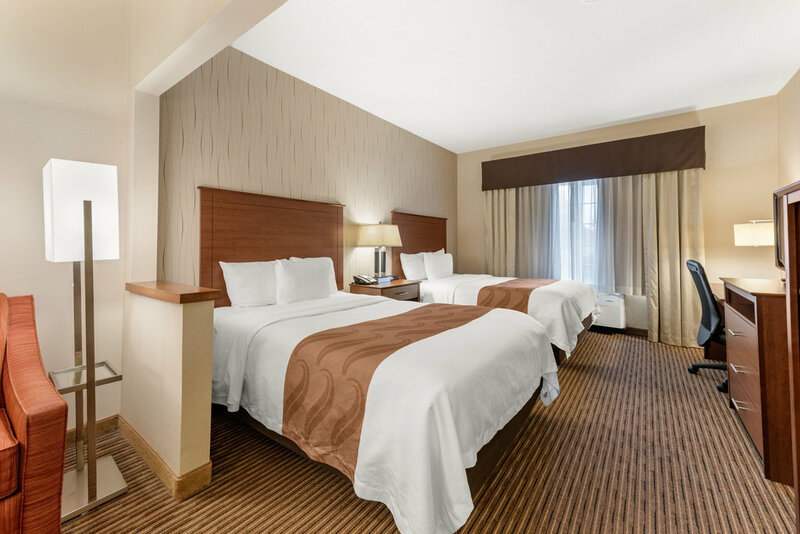 This room is the perfect choice for groups, families, or travel companions. 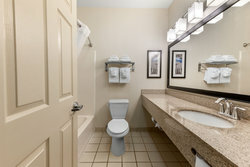 Sprawl out and make yourself at home in this spacious suite with separated living and sleeping areas. Unpack your belongings in your dresser or use the closet to hang your work attire. 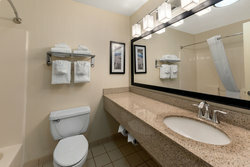 Plus, utilize our business-focused amenities like our desk and ergonomic chair, as well as our property-wide Wi-Fi for all of your connectivity and correspondence needs. Unwind during your stay with our premium “Q Bed” and “Q Shower” Programs, which promise you the very best in sleeping and bathroom amenities. Use your in-room TV to relax in the evenings and unwind on your spacious sleeper sofa or use your microwave, mini-fridge, or coffee/tea maker to enjoy a late-night snack or beverage.